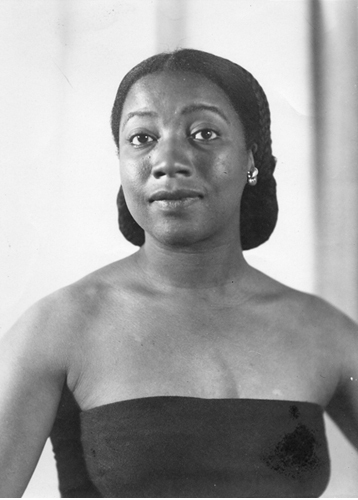 If not for the dedication of her family, Thelma Johnson Streat’s artistic legacy would have been lost to history. Now her work is a permanent fixture in the Smithsonian. The Smithsonian purchased Streat’s “Medicine and Transportation Mural” to be a part of their permanent collection for the African American Museum of History and Culture in Washington D.C. The work hangs near famed American visual artists Romare Beardon and Jacob Lawrence. Carlene Jackson, Streat’s niece, flew to attend the museum preview last month to honor her late aunt’s contribution. Jackson said the visit was an emotional one for her. “It was wonderful to see it there. I even got a little teary eyed thinking about my aunt and how proud she would have been,” Jackson said. The mural was part of a series of paintings Streat made in the 1940s. These murals were made to educate children on the historical accomplishments of African Americans. Jackson believes the “Medicine and Transportation Mural” was painted somewhere between 1942 and 1944. Streat was born in 1911 in Yakima, Washington and moved to the Portland area when she was a child. She lived with her parents in four siblings near Benson High School in Northeast Portland and graduated from Washington High School. Jackson said that Streat took some art classes in Portland through the Portland Art Museum School, but her interest in art predated any formal training. Jackson attributes this interest to Streat’s father, who was an artist as well. “She really started at a very young age -- recognizing that this was her talent, this was her calling,” Jackson said. She received her first national recognition at 18 for a painting called “A Priest,” which won an honorable mention at the Harmon Foundation exhibit in New York City. Jackson said Streat’s career really took off when she moved to California to work in the Bay Area and Los Angeles. 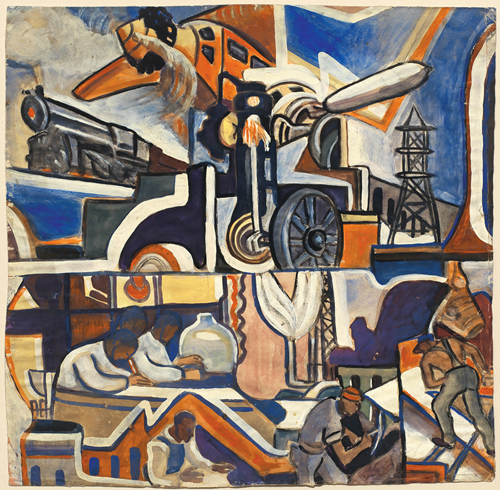 An investigation by the public broadcasting show “History Detectives” found that Streat created works of art for the Federal Art Project of the Works Progress Administration. Streat produced five textile pieces as part of the massive New Deal public works program. One of these pieces, a tapestry titled “Monstro the Whale,” went to the Portland Art Museum. Streat assisted the artist Diego Rivera on his famed Pan American Unity mural, a WPA project created during the Arts in Action exhibition at the Golden Gate International Exposition from 1939-40. Although Rivera had many assistants, Streat was one of the few he trusted to assist in painting the mural. Rivera praised Streat’s work in a letter to Galka Scheyer, a German art dealer living in Los Angeles. Jackson said Streat’s art was very diverse with some works taking a political tone and others had the raw creative expression of an explorer of the world. Streat would often create works that reflected the world around her such as Native American culture when she lived in Canada. After the end of World War II, there was a rise in lynchings, especially of Black soldiers who were returning home. Streat painted a work protesting these lynchings called “Death of a Black Sailor.” The controversial painting sparked outcry and threats from the Ku Klux Klan. Jackson said that Streat considered Portland her home as many of her siblings lived here. When she came to visit, she brought a whirlwind of creativity with her. Jackson described her aunt as worldly woman with an energetic and magnetic personality. The family was devastated when Streat died in 1959 at 47 years old. They worried that her contributions would be forgotten. She also received a posthumous doctorate by the Museum Art School she attended as young woman, now known as the Pacific Northwest College of Art. And now her work will have a permanent home in the Smithsonian. Jackson said the recognition by the Smithsonian would have “thrilled” Streat and that she would have considered it to be one of the great highlights of her career.